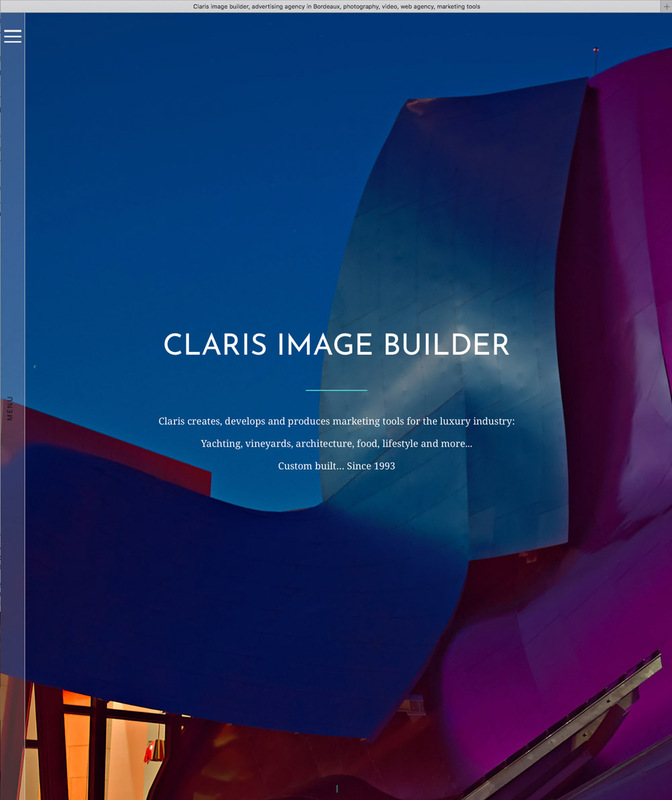 Completely redone from scratch with lots of photo and video galleries and more by Claris Image Builder: Internet, print, advertising, marketing tools etc. Click the image and enjoy the visit! It works in perfection and it simply looks gorgeous ! Very, very dynamic, clear and objective ! I wish the best success for all of you ! It blew my mind. This is alive and fabulous: modern, always surprising and grabbing attention and effortlessly seductive. 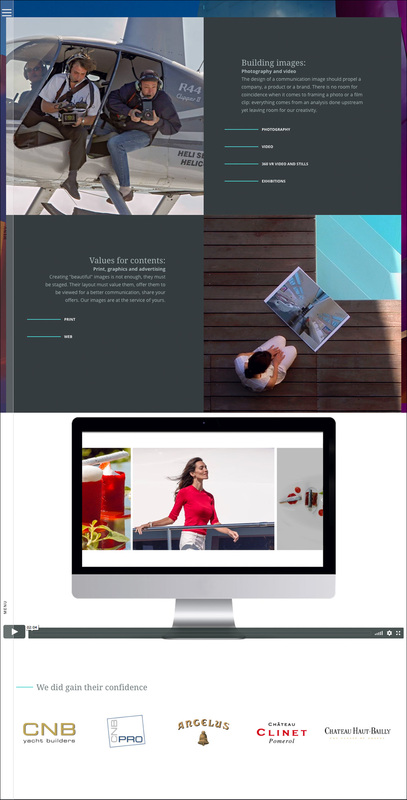 Amazing work even before the content, already in the form of the website assembly, itself an art work of stunning worth in biting simplicity. I loved the lady in red and naturally clicked for a larger copy and then got the surprise of my life! What’s revealed combines video and still photography, seemlessly in an exiting way, that is so fast yet has the luxuriousness of rich detail to draw us into the open ended adventures of ships, the sea, pastures, the arts and the finest wines! A technique, (I would call), “jump-zooming” surprises us in grabbing so much more detail and making the video and the stills blood brothers, as even with subtle transition, still photos also “jolt the brain” when they switch scenes. My single critique is I want multiple access points to that amazing video so there’s little chance it would be missed as not everyone gets stricken by a young woman in a red sweater! I have been personally slaving over my own website, http://AsherKelman.com using WIX. It is so hard to keep things consistent and it simply jumbles up the mobile version and must be seen on a laptop or desktop screen. I had no idea how many obstacles there are in going from an imagined website to actually having something robust that can adjust itself to fit diverse browsers, (colors and size change) and mobile platforms, where the rules of nature no longer apply. So, I am in awe of the New Claris website and will need two cups of tea and some meditation to reconcile my inadequacy! But then, I am appreciative and proud to the nth to have Nicolas, our Co-founder, still a stalwart OPF supporter after 12 years of support! On behalf of OPF, I wish Claris Agency, especially Nicolas, Marine and Romain, decades more of success, enabling the finest brands to be seen for their unique and uncompromising value! Bravo et Salut mes amis Francais! No one can stop you Asher David Kelman ! I have to start all over as that video was so rich I thought that I had watched a major piece of music. Now I have to start from the beginning! Was your website it hand-coded or did you use any CMS platform?